Sterlite Technologies is currently trading at Rs. 328.35, up by 27.20 points or 9.03% from its previous closing of Rs. 301.15 on the BSE.The scrip opened at Rs. 302.15 and has touched a high and low of Rs. 332.00 and Rs. 302.00 respectively. So far 696795 shares were traded on the counter. The BSE group 'A' stock of face value Rs. 2 has touched a 52 week high of Rs. 414.50 on 24-Jan-2018 and a 52 week low of Rs. 174.40 on 20-Jul-2017.Last one week high and low of the scrip stood at Rs. 332.00 and Rs. 286.35 respectively. The current market cap of the company is Rs. 13198.72 crore. 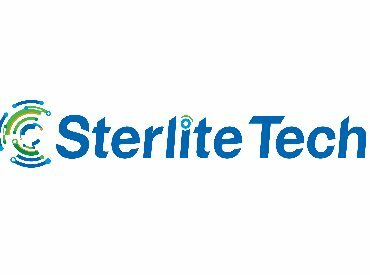 The promoters holding in the company stood at 53.96%, while Institutions and Non-Institutions held 18.59% and 27.45% respectively.Sterlite Technologies has reported over 2 fold rise in its net profit at Rs 104.49 crore for the quarter June 30, 2018, as compared to Rs 40.17 crore for the same quarter in the previous year. Total income of the company increased by 22.48% at Rs 833.44 crore for Q1FY19 as compared Rs 680.47 crore for the corresponding quarter previous year. On the consolidated basis, the company has reported a rise of 99.22% in its net profit at Rs 120.71 crore for the quarter under review as compared to Rs 60.59 crore for the same quarter in the previous year. Total consolidated income of the company increased by 17.70% at Rs 884.14 crore for Q1FY19 as compared Rs 751.19 crore for the corresponding quarter previous year.